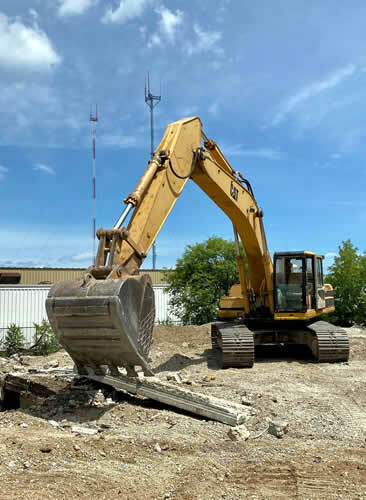 Milwaukee Excavating Services | A Milwaukee Excavating Company providing Residential and Commercial Excavating Services, Trucking, Hauling, Site Clearing, Laser Site Design and GPS Services. We have been providing professional excavating services in the Milwaukee area since 1954. Our experienced team will always get the job done right the first time. Our excavating contractors are highly trained professionals who have the skills to perform many different exacavation services. Our excavation services are competitively priced and performed by our team of experienced and professional staff. You can always depend on us for accuracy and timely completion. Our team takes pride in their work and always make sure that the job is done correctly. The following are some of the excavation services that we provide. Call us at 414-228-8882 to allow us to provide you with the best excavation services in the Milwaukee area.